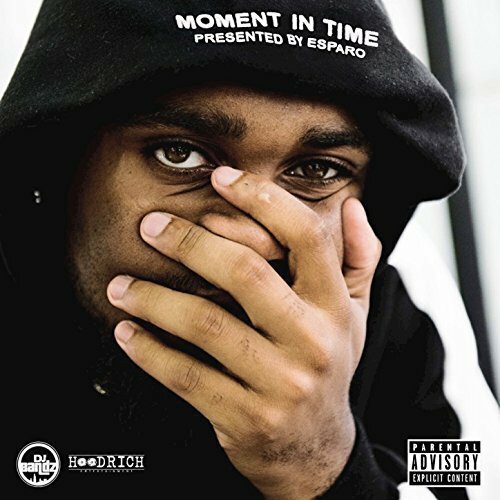 The rapper, songwriter and producer of hip hop known as Esparo has released his latest EP album, “Moment in Time.” The album contains eight original tracks for an approximate total listening time of 20 minutes. It has been proudly published as an independent release without the direction of the corporate music industry. Built on rhymes, packed with rhythms and showcasing the talents of one of the most intriguing young artists for 2018, “Moment in Time” proves that the underground scene has never been more exciting. Esparo Voltaire cites as main artistic influences Meek Mill, Drake, Big Sean, and Future. Raised in the hip-hop homeland of Queens, New York, but imported to the West Coast’s LBC rap hotbed where the legendary Dogg Pound cut their teeth, Esparo’s own sound is a blend of that old-school boom-bap and contemporary lyric gymnastics which puts something on every fan’s plate. In addition to the skills of Esparo, himself, “Moment in Time” also features performances by Lil Durk and Zeus Anderson. The work has been co-signed by DJ Bandz and was produced by the multi-platinum crew of sound engineering legends, the 808 Mafia. “Moment in Time” dropped Christmas Day, 2017. Its influence and popularity continue to grow. “Moment in Time” by Esparo is available online worldwide from over 600 quality digital music stores now. Get in early, hip hop fans.